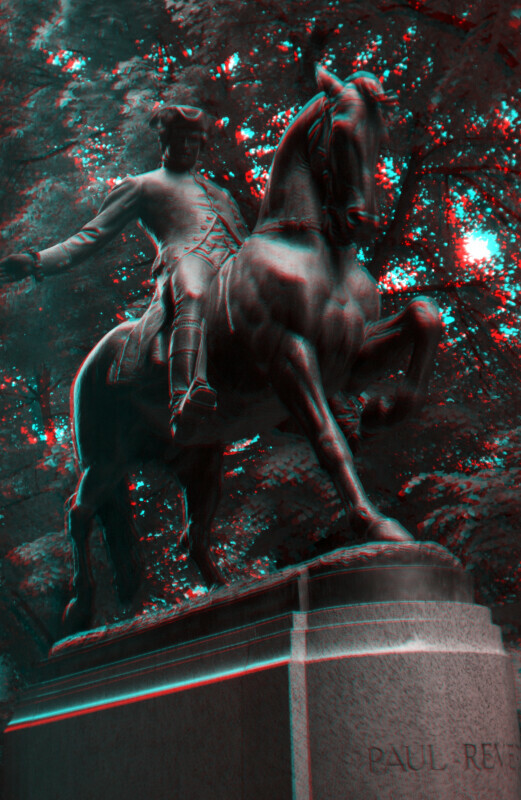 This bronze statue shows Paul Revere, on horseback. This is the Paul Revere Monument, in Boston. This is an oblique view of the side of the statue.